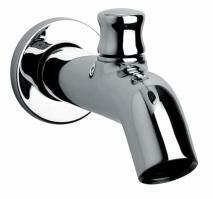 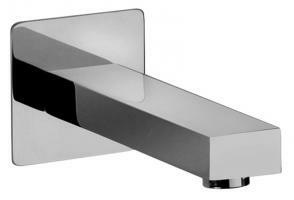 This basic tub spout has a modern flair that will enhance the bathroom area. 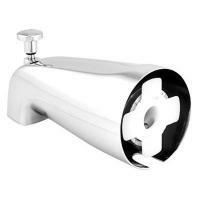 With a built in diverter, switching the water flow from the spout to the shower head is very easy. 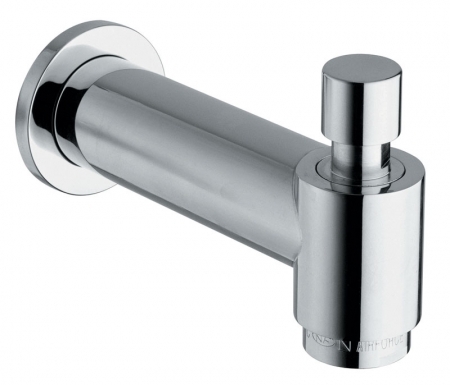 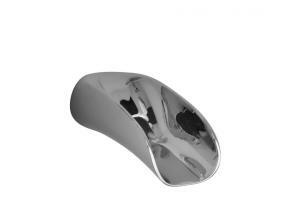 This model is available in many finish choices, including classic silver chrome, as shown.